Nintendo Wii fans got a taste of Guitar Hero III on their favorite console, but, unfortunately for them, it was a “one-flavor only” offer. The Wii game only featured mono sound and the lack of support the much-advertised Dolby Pro Logic II surround-sound standard got players enraged. Now Activision promises to solve the problem. The issue has been popping up on various sites, only to be ignored by Activision. The company kept mum about it, perhaps hoping it would just go away. Needless to say, it didn’t. Now, the publisher announces plans to replace every mono disc they falsely advertised and sold to Wii gamers. 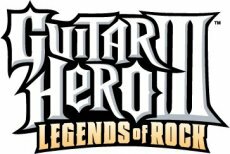 "We recently became aware that some consumers have not been able to enjoy the full audio output in the Nintendo Wii version of Guitar Hero III: Legends of Rock. We are currently working with Nintendo and are planning to issue an improved audio experience in future versions of the game. We expect to have re-mastered discs available by early 2008 and we will be offering consumers replacement discs at no cost once they become available. We thank all of our customers for their support and patience." So, replacement discs will arrive next year and the publisher is very sorry for this mishap. It could also be possible that the company rushed developer Neversoft to come up with the Gold version as soon as possible, so it would cash in the season shopping frenzy, with some issues left to be dealt with later.